“The Cans” is a three-print series created as companion pieces to Roger Gastman’s limited-edition book, The Tools of Criminal Mischief. 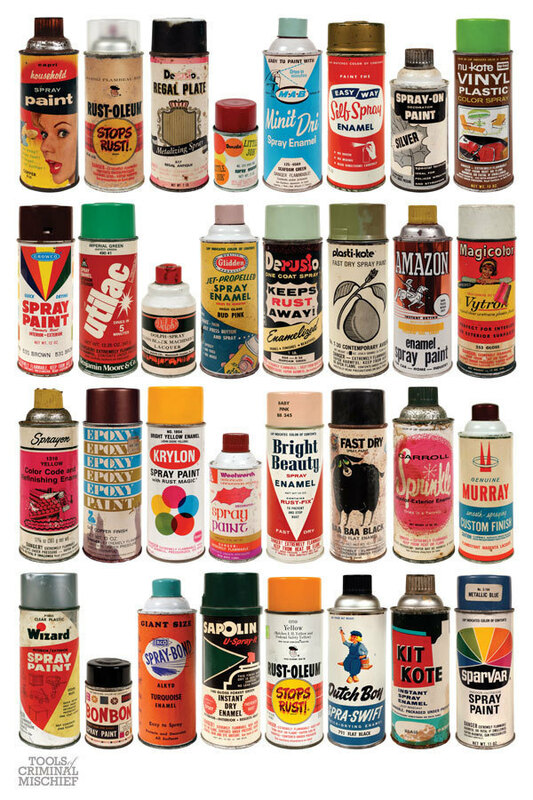 The 24-by-36-inch prints feature vintage spraypaint cans from Gastman’s collection, which was recently featured in MOCA’s Art in the Streets exhibition. 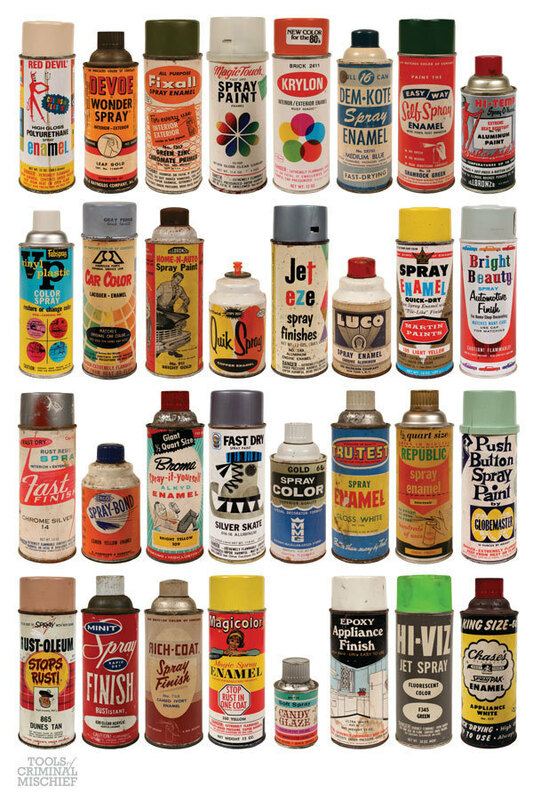 Gastman carefully selected the cans for each print, which includes coveted brands such as Krylon, Rustoleum and Red Devil as well as off-brands with colors such as Silver-Skate Aluminum and Baa Baa Black. 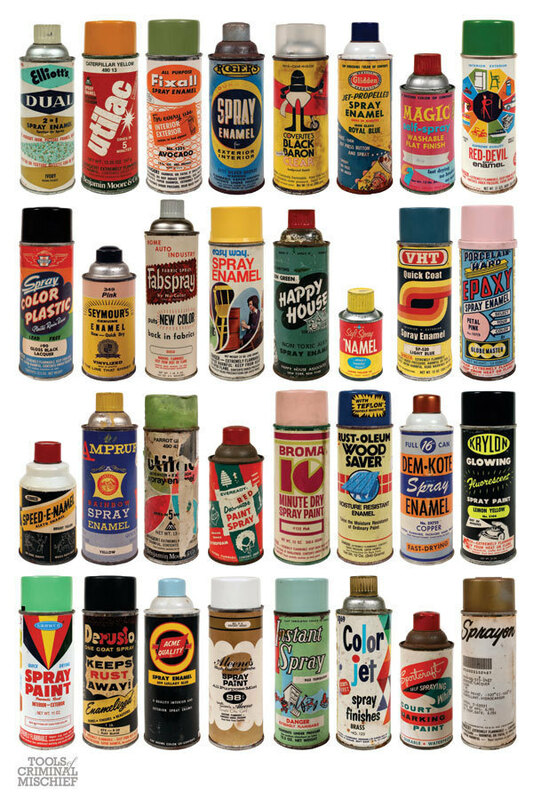 Featuring hard-to-find cans, vivid colors and vintage logos, “The Cans” is the perfect gift for any graffiti writer, art collector or graphic designer.